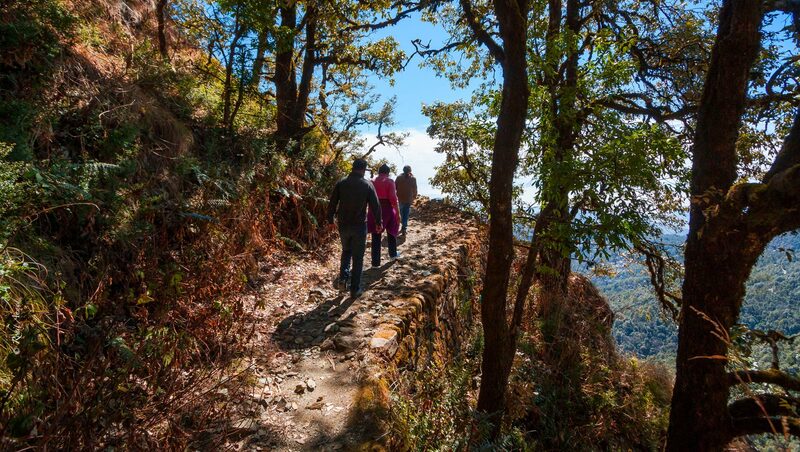 The trek to the Devi Mandir is a not to be missed experience for those who wouldn’t mind challenging themselves to a bit of an uphill trudge. The brave of heart who do undertake this trek will be amply rewarded for their tenacity when they reach the hill top, for nothing one can say can prepare anyone for what they will see or experience at the summit. In the pre independence era, the British had conducted a survey of this area, where a flag was used as a marker atop this hill, after which this it came to be known as Jhandidaar. At a height of more than 8000 ft, the entire Himalayan range from Garhwal to Tibet lie before one in all its splendour and magnificent glory, with nothing in between. On a clear day one can see as far as up to Nainital, Ranikhet and Almora from here. 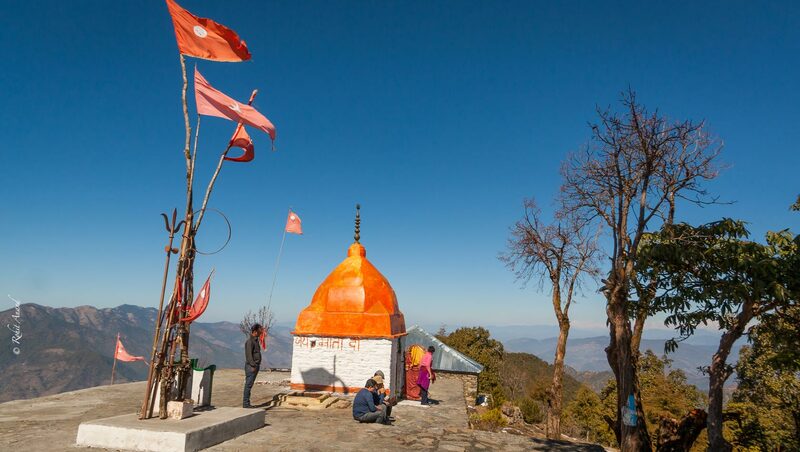 Apart from the views, there is an old Mandir, dedicated to the Vaan Devi, a local goddess and protector of the forests. Some years ago, during a storm, a thunderbolt fell on the idol and split it through. And this became a matter of concern for the locals, who pooled in resources and renovated the Mandir and repaired the idol. The tiles, still bear signs of where lightening had struck the temple. At the top with 360 degree stunning views all around, how would it be to sit under the canopy of the skies with the sun kissing your face and the wind playing in your hair as you commune with the clouds passing you by….There couldn’t be a more blessed experience – could there? Trek distance : 3.5 km uphill trek from Soulitude. Time: Maximum time for a trek up to Devi Mandir and back is approximately 2.5 hours. Therefore the best time of day to undertake a 3-3.5 hour outing would be morning, post a slightly light and early breakfast so that one is back in time for Lunch. Rating: Highly recommended. Though strenuous, because of the steep uphill route, it is doable by most, so long as it is done at one’s own pace by taking rest now and then on the way up. The return is much easier, and quicker as it is mostly downhill.